Among the small luxuries that we who follow the beautiful game in this country can now enjoy is the chance to lounge on a lazy weekend afternoon and actually watch live local football matches on television. 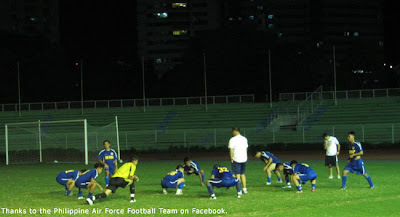 There was a double-header last Saturday; but it was the first match – between the Philippine Air Force and Manhur FC – that I was particularly interested in. 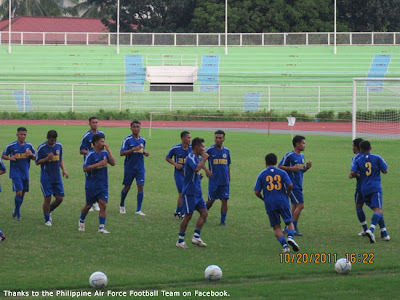 Aside from my Air Force connection – and no prizes for guessing which team I was rooting for – the game offered the chance for me to examine two active Philippine internationals in a different set-up with their local clubs: Emelio Caligdong and Ian Araneta. Perhaps, the 15-3 final score was not just a tad inappropriate for television – unless the game is in the Shakey’s V-League. The match was still a spectacle; or, at least in way the men-in-blue performed like a fluid and well-oiled mean machine. Albeit, how a team that can score 15 can also leak 3 at the back end is probably something for Believe It Or Not episodes. For all his infuriating Johnny English comedy of errors in recent international matches, in an Air Force jersey Ian Araneta was a totally different proposition. Scoring a hattrick of three goals in the modern game – or at least, supposedly – is hard enough. Araneta had a double hattrick or a total of 7 goals in all! If that is not impressive, I do not know what is! I have been seeing Araneta even as far back as the days of the often disastrous excursions into the old Tiger Cup. He was a young boy then; and in all honesty there was not a lot in the way of compliments to pay the lad. That said, there was also not a lot in the way of compliments to pay the rest of the team, either. Given the way we were forced to play in those days – i.e. camped inside our own half, desperately defending – Araneta was not really equipped to make much in the way of an impact. If he was played upfront, he was not equipped with the searing pace that is necessary to break past opposing international defenders. Neither was his first touch consistently clean, a must in international football when strikers are being manhandled already even before they receive the ball. Even as a young international, though, Araneta when in space had this ability to look up, size up the situation and then make telling passes to teammates. He was also always willing to run his socks off harrying defenders, a trait you will not always find in strikers. 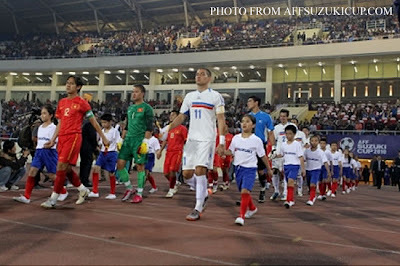 Araneta was still very much in the thick of things when the country went on a fairytale run in the 2010 Suzuki Cup. He was in great goalscoring form during the qualifying round; but given the quality of the opposition in the tournament proper, that rich vein of form was always bound to be arrested by higher calibre opposing defenders. 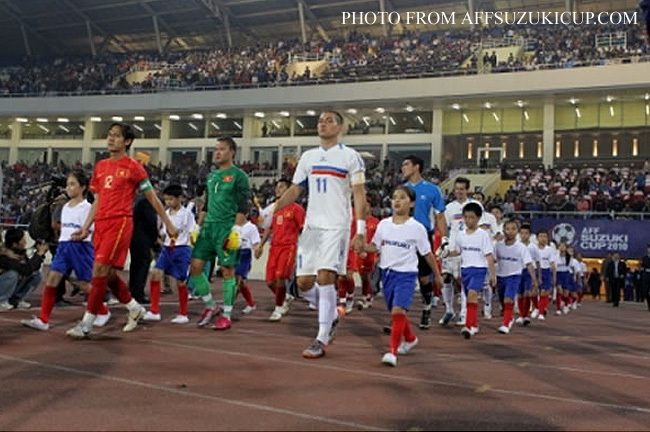 The British commentators covering the Suzuki Cup were at times scathing in their description of Araneta as an international striker. Despite this, however, they were all in agreement that he was a player who would selflessly run all day long for the cause. Here I point out that his value to that Suzuki Cup team was not necessarily visible to the eye. By persistently harrying opposing defenders – and it takes superb fitness to be able to do this – he was not only not giving them time to dwell on the ball, he was also forcing them into movement. This was crucial for the end-game. Lest anyone forgets, Chris Greatwhich’s equalizer against Singapore and Phil Younghusband’s goal against Vietnam were both scored late in the two matches. Let us also not forget that, for the latter, it was Araneta who chased the deep cross from the right and then had the vision to play it back to the middle for Younghusband to put the game to bed. 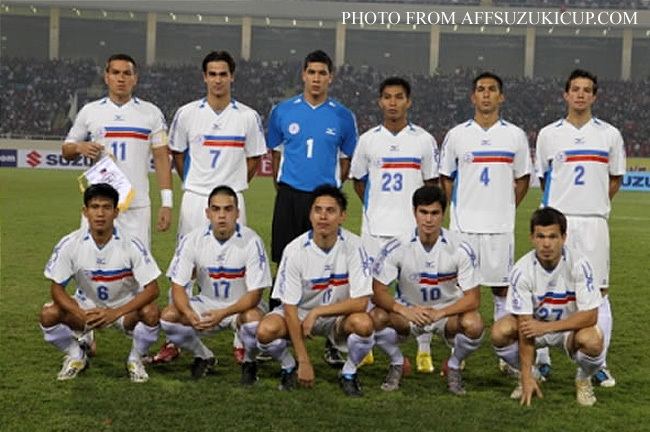 Then, as we all know, Angel Guirado arrived and we saw less and less of Araneta in the international stage. If he played at all, it was frequently off the bench. Coming off the bench, though, Araneta has tended to look like a player with a point to prove. Too much of a point, as a matter of fact; and not that he has been succeeding. Araneta’s commitment remains incontestable. But, often uptight when coming in as a substitute, he has tended to strike for goal even when there were better-placed teammates; miss chances that could best be described as sitting ducks; or lose his footing at the most importune moments. It cannot be easy on the lad to have lost his international starting place; and particularly since his Air Force teammate Caligdong has not only kept his but has also become the symbol of hope for all aspiring homegrown talents. 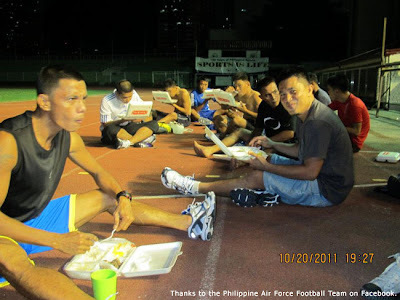 In an Air Force jersey, Araneta looked almost like a totally different player. Those who see him play club football regularly may have entirely different things to say. But in last weekend’s game, he was in his element. His finishing was comparable to the shot of an eagle-eyed sniper – it was deadly! Like most strikers, his hunger for goals was unmistakable. He just could not get enough of them! Yet, when there was somebody better-placed to score, he would also be utterly selfless by laying off the ball for him to strike. 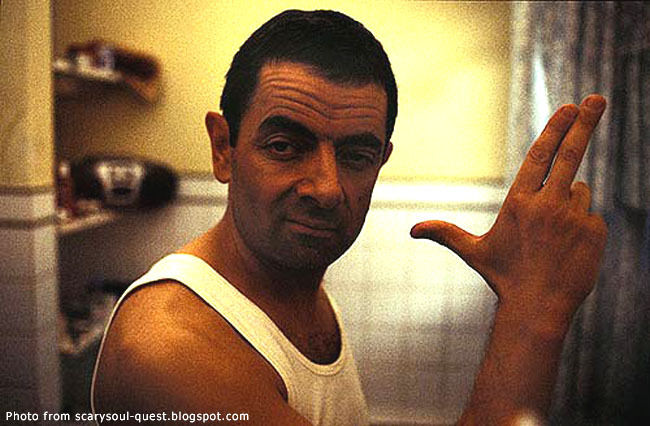 This was the true Ian Araneta, not the clumsy Johnny English impersonator we have seen on the international stage of late. It was easy to spot the reasons for the transformation. First of all, the fluid Air Force system – which was lovely to watch, incidentally – suited him. Araneta as a young international has always had this awareness in him; and the Air Force’s short passing game flowed all the more because of his awareness. Because Manhur FC did not offer much in the way of attack, Air Force was encamped practically the entire match inside Manhur’s half of the field. Thus, Araneta had the luxury of playing in and around the penalty box, something he seldom enjoys in international football and particularly against stronger opposition. Playing so much farther upfront – as all televiewers saw – Araneta was lethal! 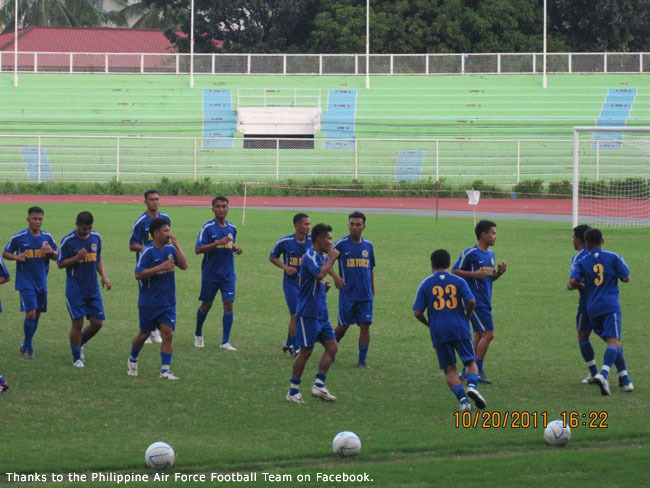 Finally, in the Air Force team, he is probably recognized as the team’s main striker. He probably starts most matches, gets a feel of the game early on, gets time to size up the opposition defenders and does not have more celebrated teammates to defer to. Quite the opposite, as a matter of fact; but in the Air Force system, his teammates actually look for him when the team is attacking. The obvious question to ask now is why he is not producing this sort of form at international level. Of course, the quality of UFL defending at the moment is still a long way from international class. That said, Caligdong was doing in this televised match what we also see him do in a national team jersey, whatever and whoever the opposition might be. Football is a funny old game and truth be told, only part of it is physical. The rest is all mental; and often what is needed for a player to transform himself from a good one to a great one is just getting things right inside his head. In this regard, Araneta can probably take a tip or two from his teammate Caligdong, who has learned to flourish in spite of the added pressure.